I'm honestly afraid that I will not survive winter in Virginia. Highs in the 30s? Is that a thing? We won't be escaping the 50s for the remainder of the week (is it December already? 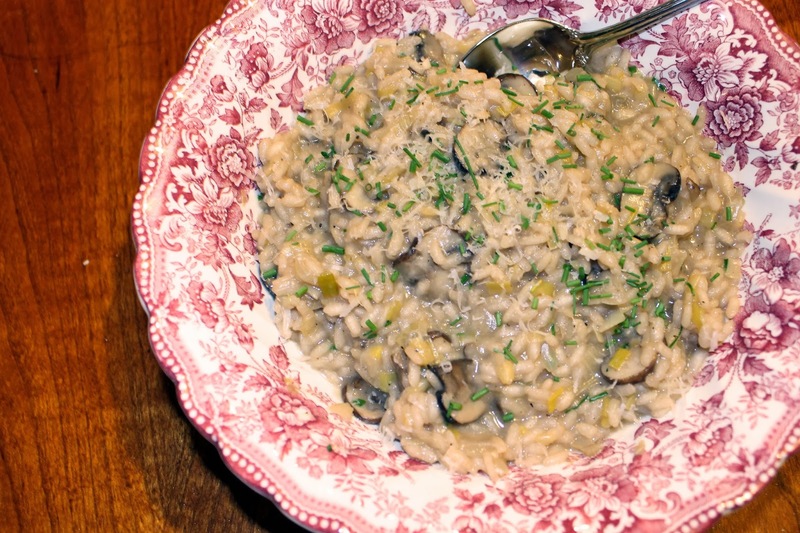 ), so I thought it was a fitting time to break out a warming, very comforting, risotto. I know many home cooks tend to shy away from risottos because they afraid they won't turn our lovely and creamy, but I actually find them to be pretty straightforward. They can take on whatever flavoring you please, and with a little time and a lot of stirring you have a tasty one pot meal. This leek and mushroom version is warm and filling, plus vegetarian and gluten-free! Try this dish the next time you are looking for a comforting week night meal, it is easier than it looks. Heat butter and olive oil in a heavy stock pot over medium heat. 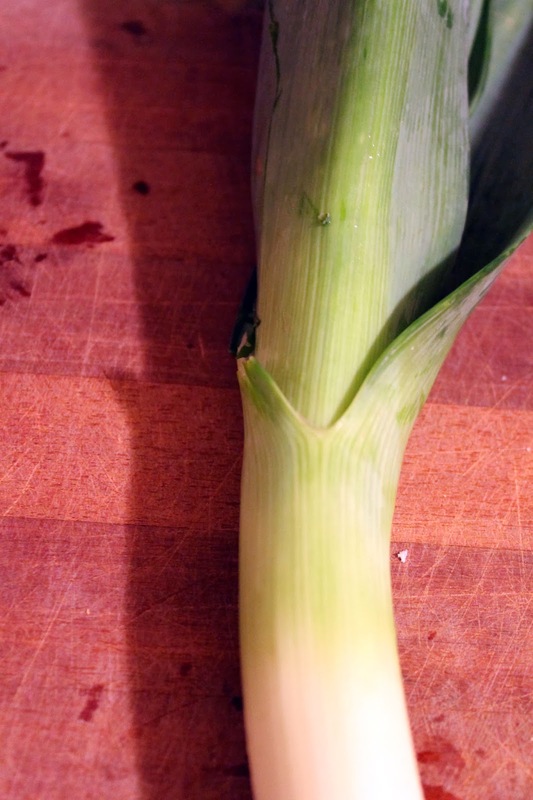 Once butter has melted, add onions and leeks. Cook until translucent, about 5 minutes. Add garlic and cook until fragrant, about 1 minute. 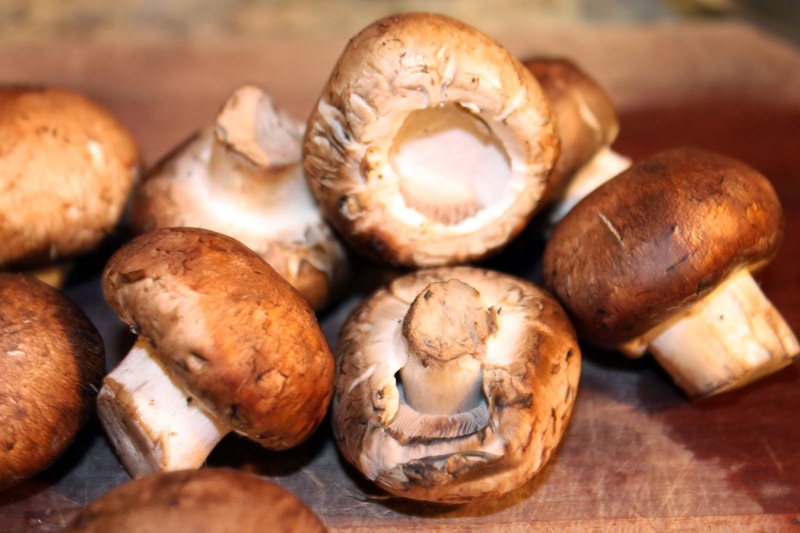 Add mushrooms and cook for 2-3 minutes until softened. In another saucepan, bring vegetable stock to a simmer. Add arborio rice to stockpot and cook for 2-3 minutes until rice is glossy. Stir in wine (if you like a less tangy risotto use 1/4 cup of wine). Once wine is absorbed, add warmed vegetable stock 1/2 cup at a time. Continue adding stock 1/2 cup at a time until risotto is cooked through, this will take about 20 minutes. 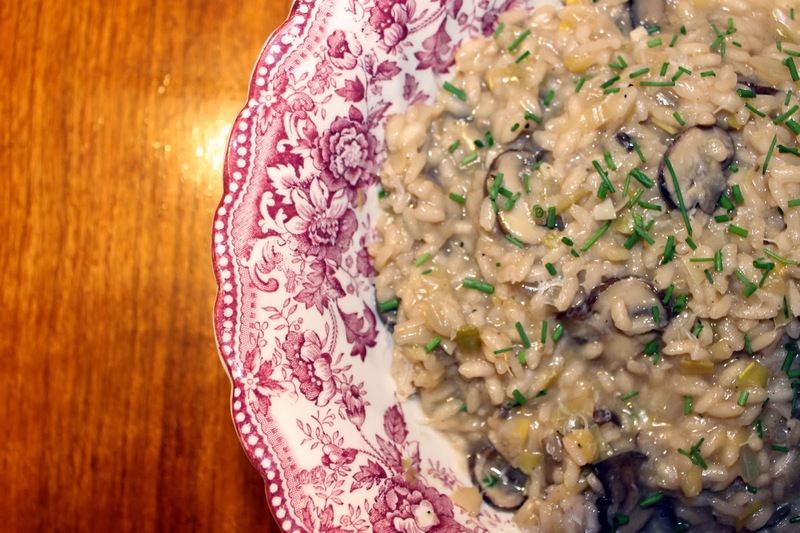 You want the risotto to still have a slight bite but be creamy. Stir in 1/2 tablespoon of chives and a generous amount of parmesan cheese. Top with remaining chives and serve immediately.